When possible, Proper uses local ingredients to create homestyle southern cooking with a seasonal slant. See the website for a list of Proper's purveyors. 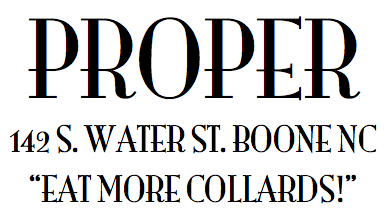 Proper is an homage to a Southern upbringing. It is preserving a way of life that includes an honest living, being polite, and eating good food.